Hi there! I’m Haylie. I’m the writer, recipe creator, photographer and blogger here at Our Balanced Bowl. Welcome! You’ve made it to my labor of love. The one stop shop for all things delicious, whether that’s a one skillet cheesy pasta dish or a fresh batch of homemade chocolate chip cookies! I’m a lover of all foods. Seriously, no discrimination here. 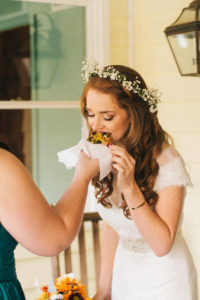 I love greens, veggies, fruits, anything Oreo, and most importantly – pizza (as seen in this photo, eating pizza on my wedding day). For years I spent my life my life counting calories, watching what I ate, eating only the most processed, low-fat unreadable ingredient foods imaginable. My body wasn’t getting the nutrients it needed, and to be honest, neither was my mind. To read more about my weight loss journey and how I overcame an eating disorder, click here! It took a lot of prayer, vulnerability, grace from Jesus and family love to get me through it. I started this blog to show people on the internet that it is possible to live a life of BALANCE! It’s okay to eat 3 slices of pizza in one sitting. Just like it’s okay to eat a delicious salad full of healthy greens. The key is moderation! The recipes you will find on Our Balanced Bowl are semi-healthy, occasionally indulgent and always made with love! When I’m not in the kitchen, I’m hanging out with my favorite person: my husband, Benjamin! 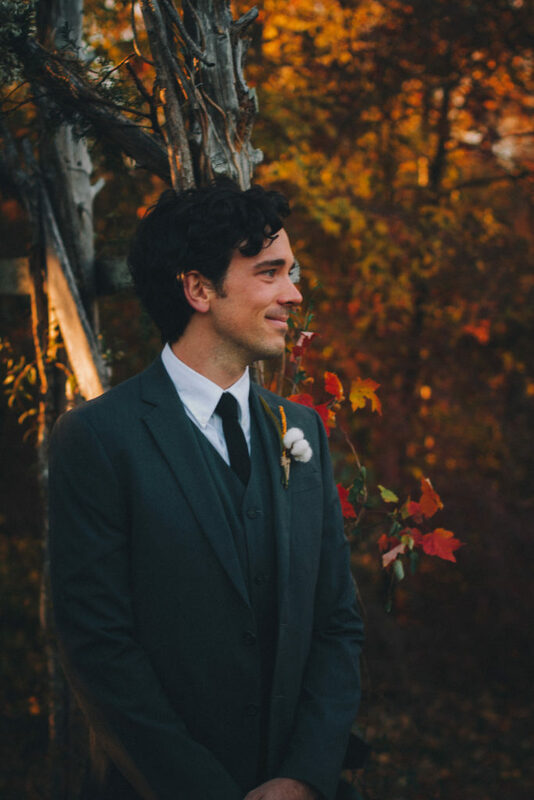 That’s him right here –> on our wedding day. He’s my very best friend and number one fan. We enjoy playing board games, traveling anywhere and everywhere possible and wine tastings! We cook together, wash dishes together, and and we balance each other out by loving on each other, trying to live intentionally each day and by following Jesus. I love writing, creating recipes and interacting with the readers of Our Balanced Bowl. Thank you SO much for stopping by! Your support is truly appreciated and I absolutely love it when you re-create my recipes! If you ever have any questions or concerns, feel free to shoot me an email at ourbalancedbowl@gmail.com.